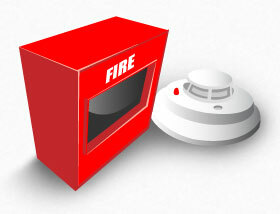 Intervid’s Fire Detection solutions allow for the early detection and therefore prevention of the devastating effects of fire within an organisation. Intervid’s Fire detection solutions range in size and functionality and are designed using a selection of world class products sourced from leading international fire detection providers. Intervid provides a wide spectrum of Fire detection solution our range of fire detectors include optical smoke detectors, heat detectors, linear detectors, beam detectors, gas detectors, aspirating air sampling detectors. Our fire detection solutions are suited to a wide range of industries from hospitality, mining, industry, manufacturing, warehousing and commercial. Intervid supplies to Durban, Johannesburg & Cape Town in South Africa.